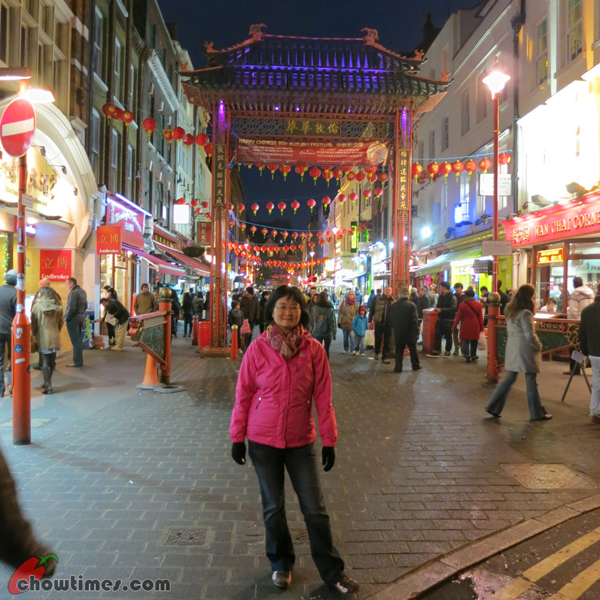 We returned to Brick Lane near our hotel for dinner. 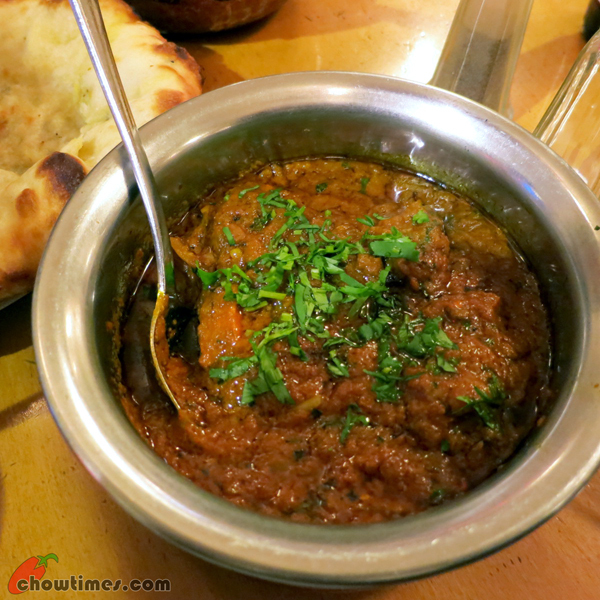 Brick Lane is the little India in London. It is lined with Indian restaurants. After exploring the lane. we picked one of the Indian restaurant for dinner. I can’t recall the restaurant name now. Indian restaurants often serve papadam with chutney as appetizer. 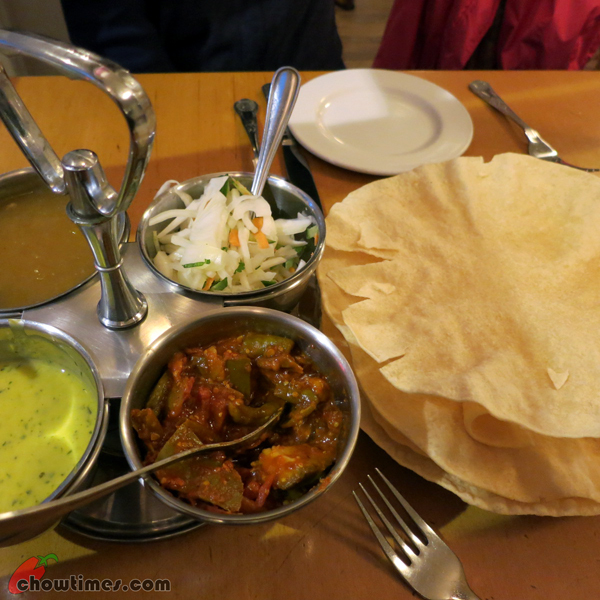 The difference between the restaurants here and those in Vancouver is the restaurants here served papadam with four dips/chutneys while in Vancouver, we mostly get two only. 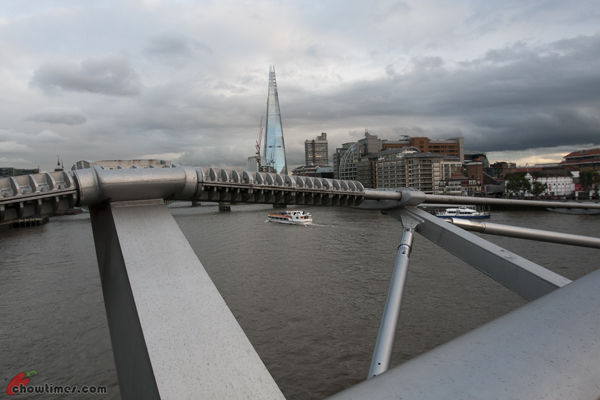 The Millenium Bridge began construction in 1998 and opened on 10 June 2000. 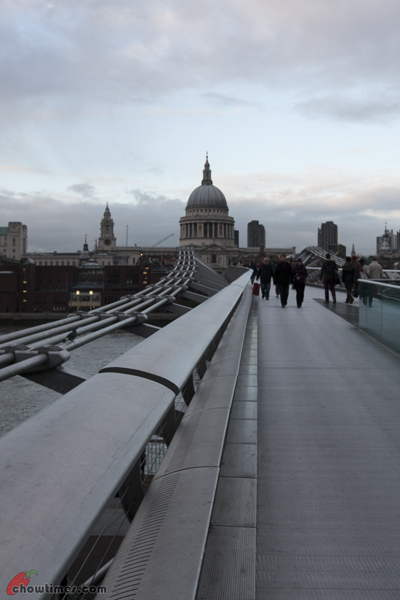 The Millenium Bridge connects major attractions on the Southbank which include the Globe Theater and the Tate Modern to St. Paul’s Cathedral on the north side of the bridge. View of the Tate Modern from the Millenium Bridge. Shakespeare Globe is one of the several attractions on the South Bank. This is a replica of the Elizabethan theater opened in 1997. The original Globe was built nearby in 1597 after Shakespeare and his company transported a playhouse, timber by timber, across the Thames from Shoreditch. In 1612, during a performance of Henry VIII, a stage cannon sparked a fire and the wooden structure burned down completely. Now, the theater is equipped with water sprinklers. The original Globe seats more than 3000; 2200 seated and 1000 groundlings. Today’s Globe seats 800 and accommodates 600 standing. 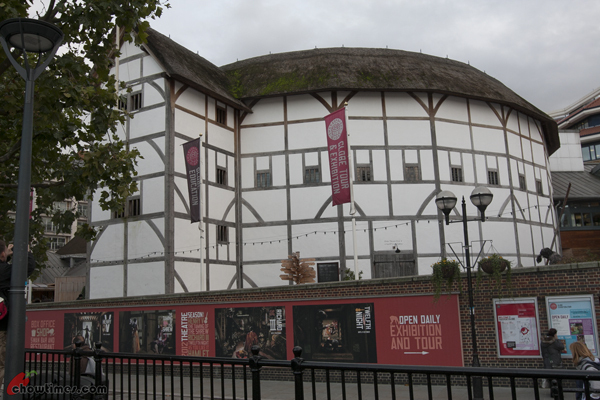 The plays Hamlet, Macbeth and Romeo and Juliet all had their premieres at the original Globe Theater. 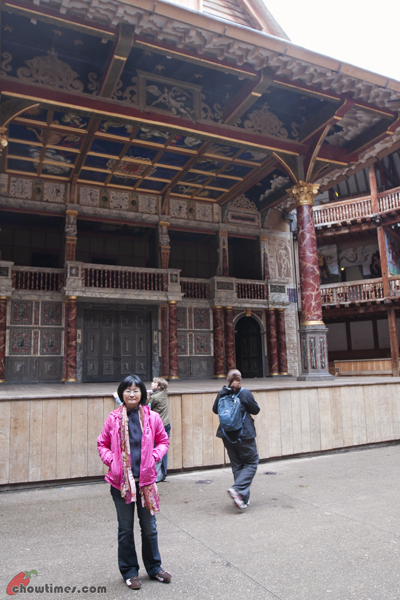 We joined the half hour Globe Theater tour of the auditorium. The guide explained to us the history of the Globe Theater. The upper level seats were for higher class audiences while the cheapest tickets were for standing audiences. The word box office came from the practice where the price for the tickets were dropped into a box which will be brought up to the office to tally. 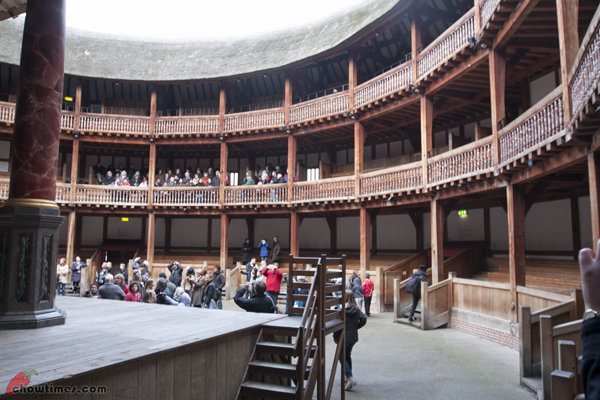 The Globe has always been an open-air roof theater. 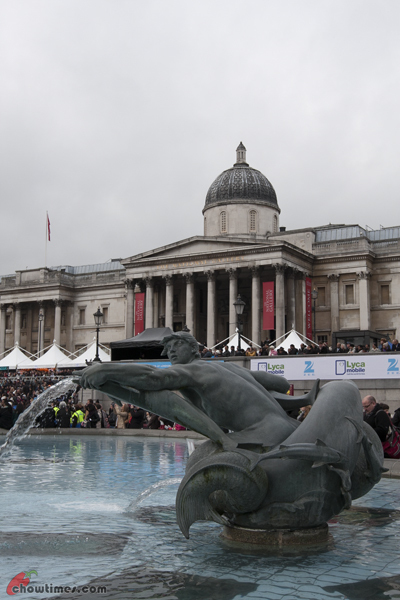 Performances are held in the summer only. 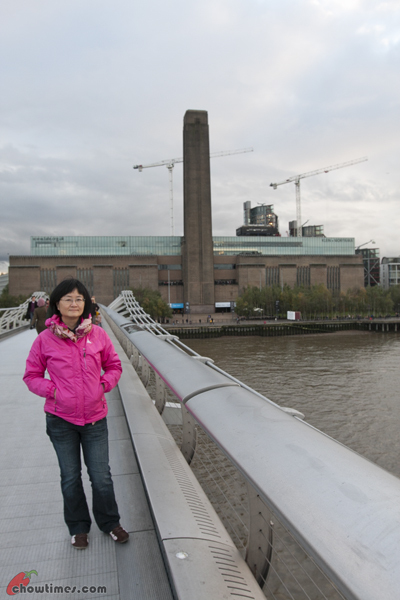 After the visit to the Florence Nightingale Museum, we decided to take a leisure walk along South Bank. 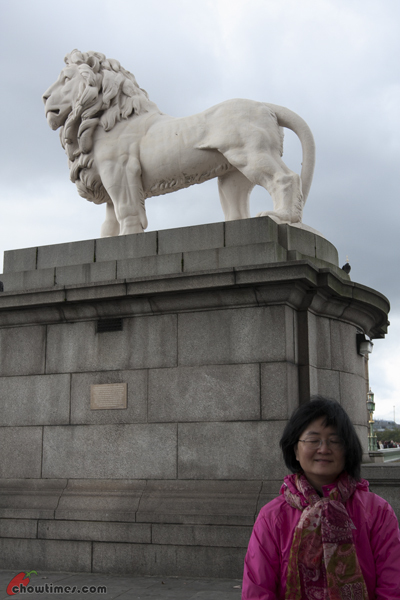 We started the walk from the South Bank lion statue on the southside of Westmintser Bridge. It was a windy day as you can see. 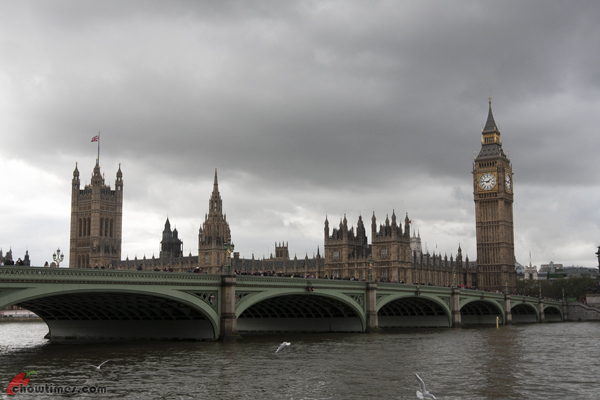 View of Big Ben and the Houses of Parliament as the backdrop of Westminster Bridge over the River Thames. 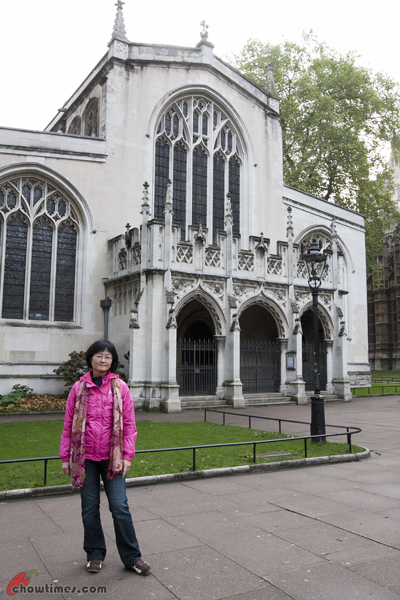 After the Westminster Abbey guided tour, we went to look for St. Thomas’ Hospital which is nearby. 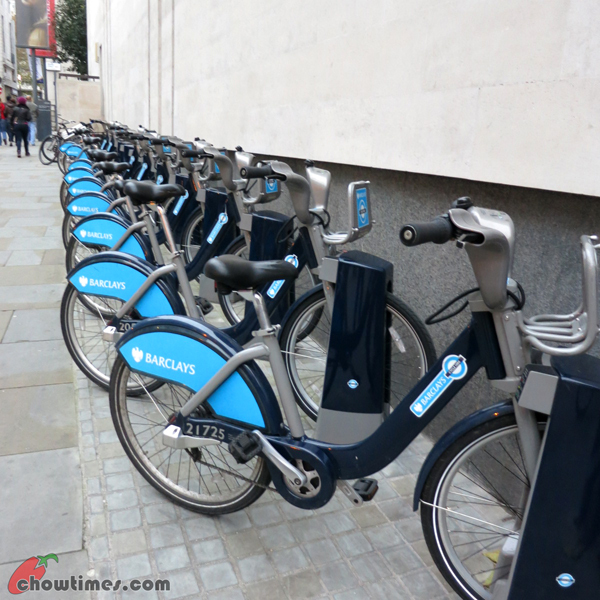 We planned to visit Florence Nightingale Museum which is located in the St. Thomas’ Hospital. 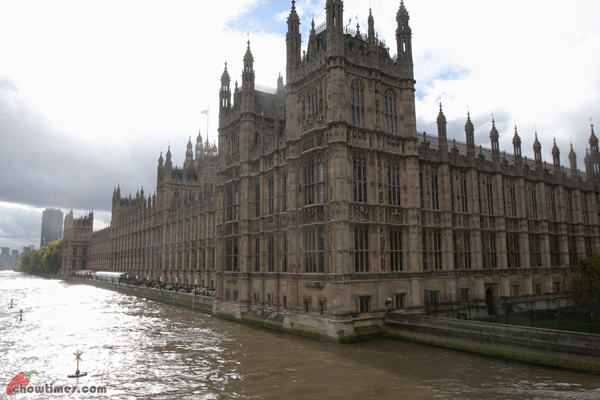 A great view of the Houses of Parliament from Westminster Bridge. 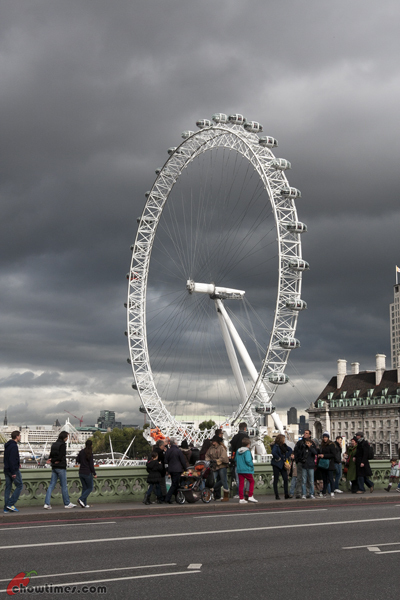 London Eye with gloomy sky on the backdrop. 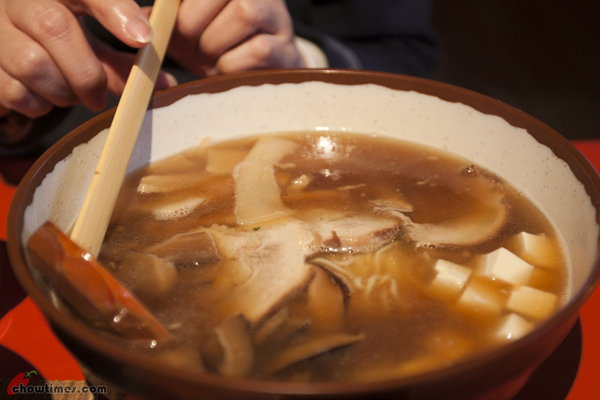 We found a Japanese restaurant; Ajizen Japanese Canteen just across St. Thomas’ Hospital. So, we went in for lunch first. 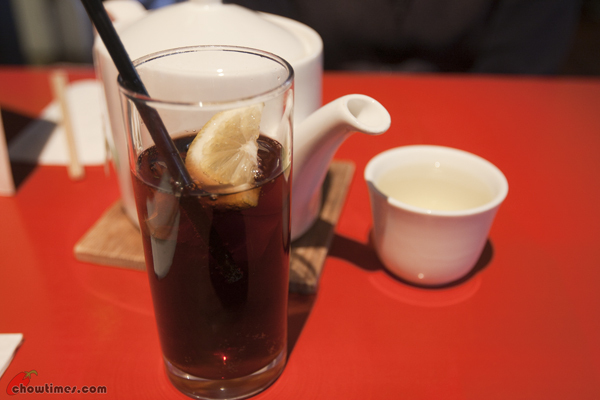 Ben had a coke while I had green tea. 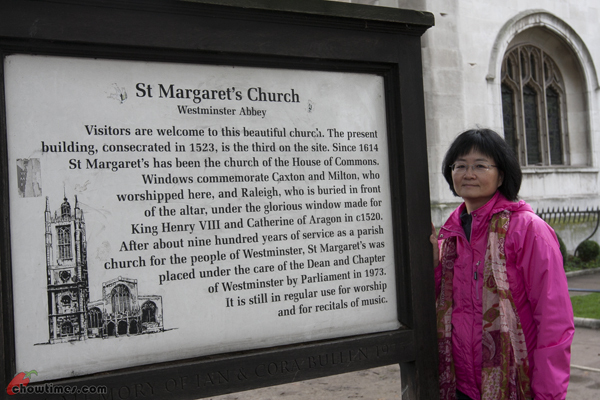 St. Margaret’s Church is a small church besides Westminster Abbey. It is often overshadowed by the Abbey. Winston and Clementine Churchill’s wedded in St. Margaret’s Church. Day 4 started with a walk along Whitehall. 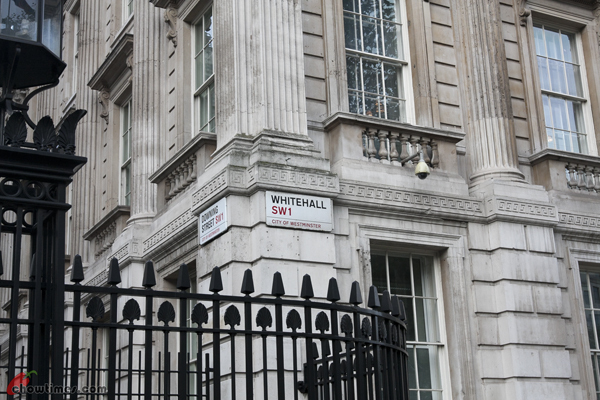 Whitehall is the most important street in Britain, lined with the ministries of finance, treasury, and the home of the prime minister. 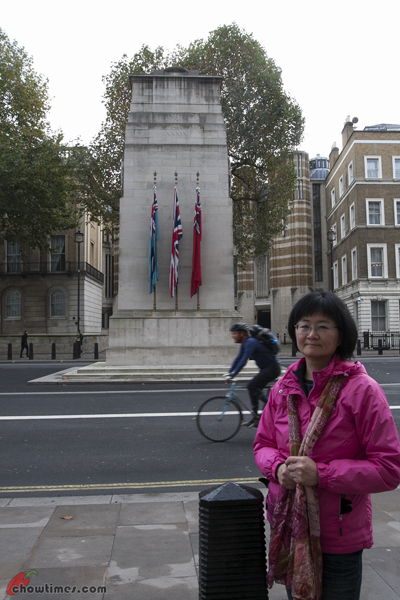 Cenotaph is a big white stone monument in the middle of the boulevard honours those who died in the two World Wars. 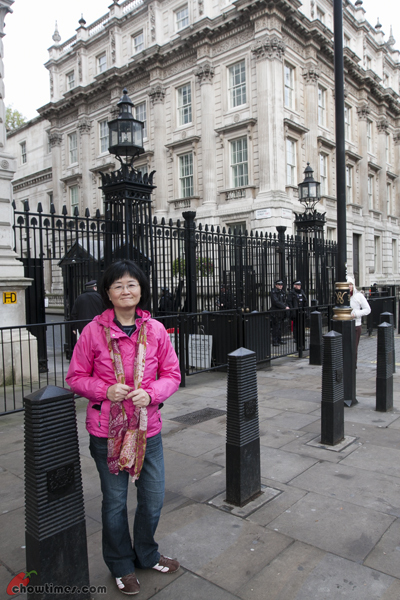 The heavy security at the entry to #10 Downing Street; home of the prime minister. 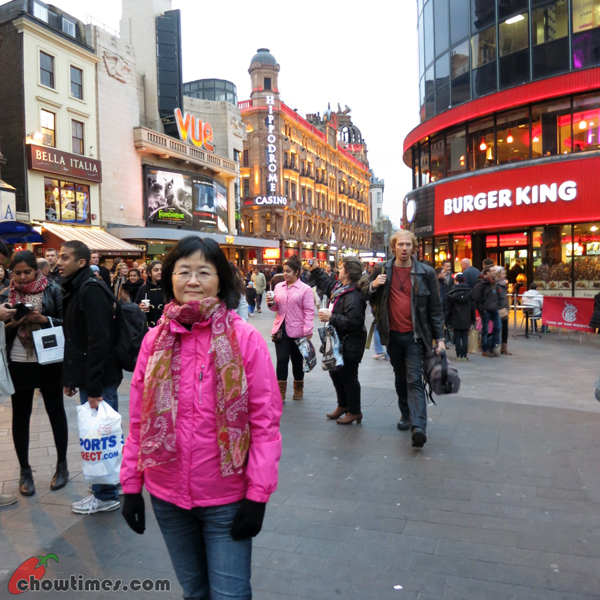 We decided to have dinner at Chinatown which is just a few minutes walk from Leicester Square. The pagoda gateway into Chinatown. 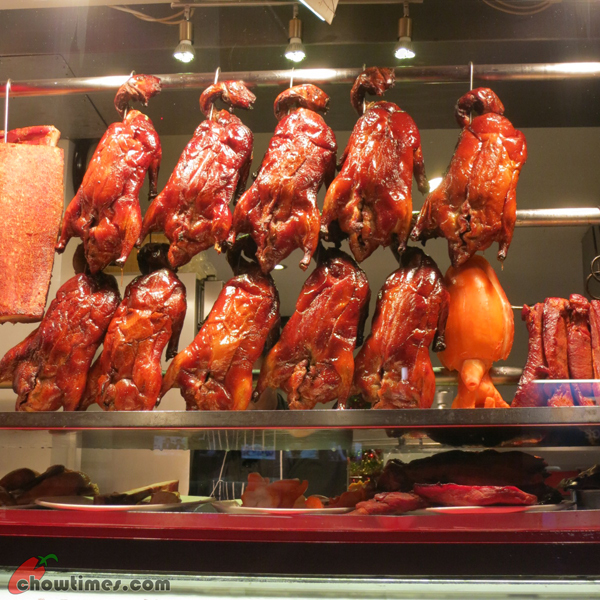 There are a lot of BBQ restaurants and All You Can Eat Buffet restaurants in Chinatown. 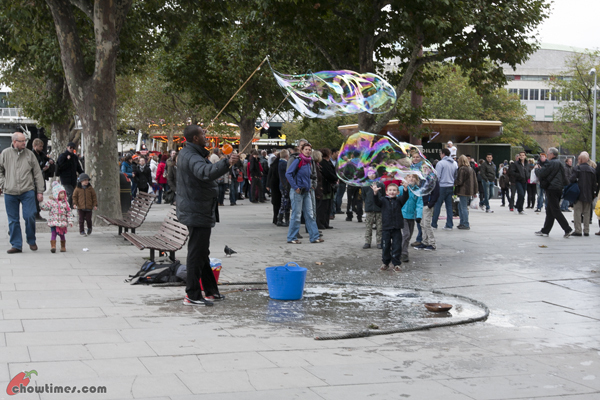 Leicester Square is the heart of the West End entertainment district. 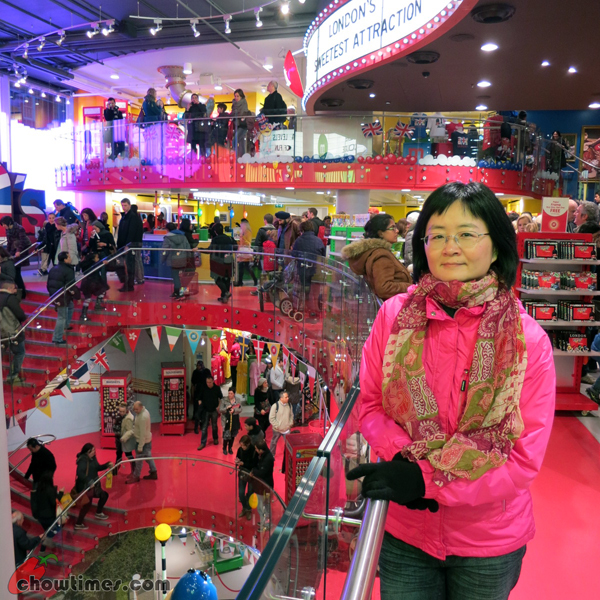 Leicester Square is ringed by blockbuster cinemas, fast-food places and souvenir stores. It was the home of scientist Isaac Newton. We came upon bicycles for rent along the way. 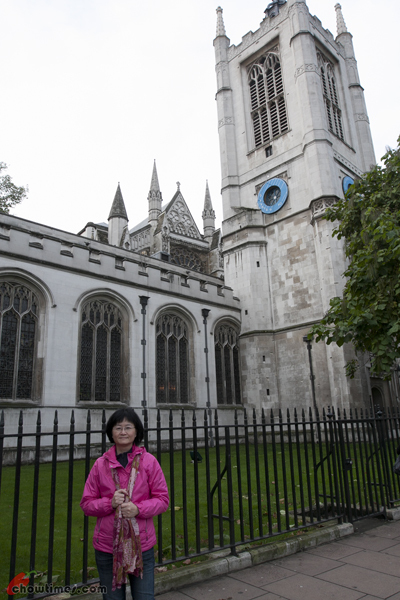 This was the view from the Pret A Manger where we had our coffee break. 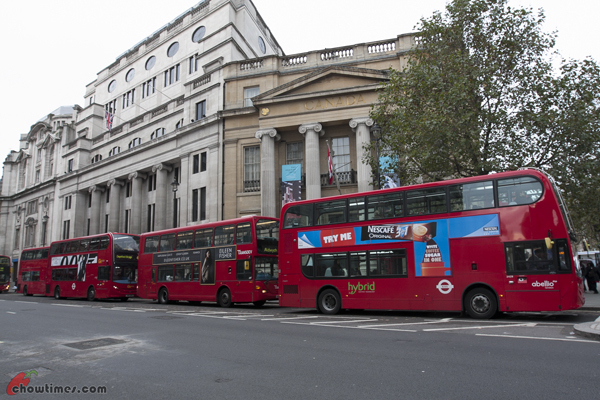 The street was lined with tour buses. The 170 feet tall Corinthian column is the world’s biggest. 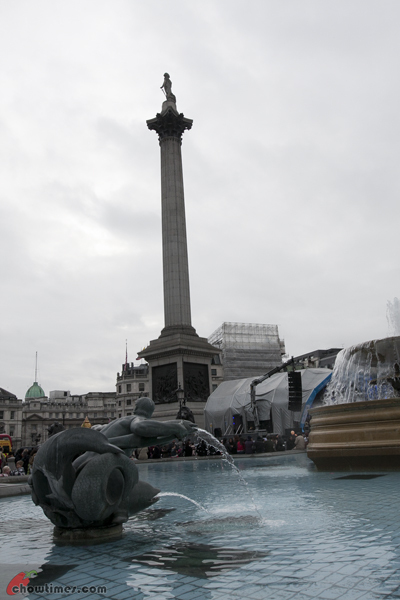 Admiral Horatio Nelson stands tall on the column. Admiral Lord Nelson was Britain”s most famous naval captain who died at the Battle of Trafalgar against Napoleon in 1805.